Ever since Xiaomi became an overnight sensation upon its entry into the Indian smartphone market back in 2014, many a Chinese firm has made a beeline for the country, hoping to make it big. However, in addition to names like OnePlus, LeEco – which crashed and burned – Vivo and OPPO, Chinese behemoths like Alibaba and Tencent have also got their fair share of investments in Indian startups and unicorns. Perhaps buoyed by this enthusiasm, Chinese bike-sharing company Ofo is now partnering with Paytm to expand into India. The company has officially confirmed to The Next Web that it will begin services in the country. 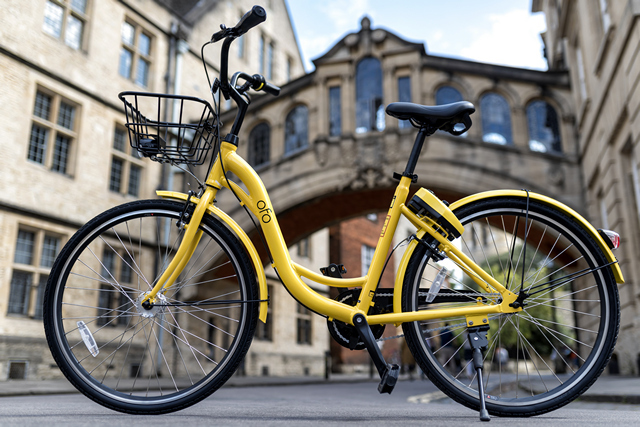 Ofo will begin services across seven Indian cities: Indore, Ahmedabad, Bangalore, Delhi, Pune, Coimbatore, and Chennai. The company will compete in the segment with the likes of Zoomcar, which has been running its pilot cycle-sharing services called PEDL since last year. That particular service has been running in select areas within the Mumbai metropolitan region, as well as in Pune, Chennai, Kolkata and Bengaluru, operating around 500 bicycles. For the uninitiated, Ofo is a bike-sharing service based out of Beijing, China. Founded in 2014, the company operates over 10 million yellow bicycles in 250 cities and 20 countries around the world. One of the biggest investors in Ofo happens to be Alibaba, which also has significant investments in Paytm.